Over the years, we have heard numerous parents and community leaders complain that we train our young people in Savannah at schools like Savannah Technical College, Savannah State University and Armstrong Atlantic State University to see them leave the area to find a good job, and too often that statement is true. Too many of the good jobs are bypassing our area because we are just not as competitive as some other areas, even some areas in the state of Georgia. We must do everything we can to make Savannah competitive so that our young people and other citizens will be able to find good jobs here. One thing we can do is vote “YES” to eliminate the Inventory Tax. Mayor Edna Jackson is encouraging us to vote “YES.” She notes that Savannah is the only city our size with this tax, and we lose jobs to other markets because of it. If we are to keep Savannah moving forward, we must help make it economically competitive with other communities that compete with us to attract high paying manufacturing jobs. Savannah is a wonderful place to live, but business executives will not select Savannah for new plants if they have to pay an inventory tax on: (1) goods that are in the process of manufacture; or (2) the inventory of finished goods: or (3) goods that are stored on January 1 of a calendar year. Businesses do not have to pay a tax on these goods in other similar cities. For example, we compete for jobs with cities in the southeast like Jacksonville, Charleston, Atlanta, Augusta, Macon and Columbus and NONE of these cities have this tax. In fact, none of the cities in the States that border Georgia have this type of tax. For us at The Savannah Tribune, this is an easy question to decide. We believe we should remove the tax. 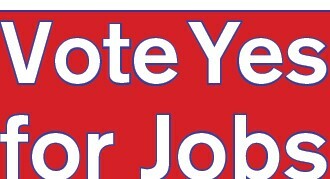 We urge you to vote “YES” three (3) times on the May 20th ballot and completely remove this tax that cripples our efforts to bring more jobs to this area and keep Savannah moving forward.